Are slick water chemicals, major reason behind Guar seed and guar gum price fall ? Prices of Guar seed and guar gum is falling during its peak demand and tight supply period. Many reasons are given behind the price fall of Guar seed and guar gum. One reason is saying that production of Guar seed is increasing. Another reason is given that there supply of substitutes of guar gum at lesser price exported from China. Both the reasons seem completely wrong for falling price of Guar seed and guar gum. As the arrival of Guar seed starts from the month of November and by the month of January there is peak arrival time. This is May month right now so it can’t be justified that arrival of Guar seed has increased after six months of harvesting. 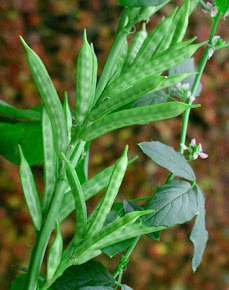 Since Guar seed is grown only in India and it is grown only in one season so there is no reason to justify that arrival or production has increased in mid-season. Another reason is given that China is supplying slick water chemical at half price of guar gum. This justification is also wrong. Slick water is not new chemical this technology is as old as guar gum. Slick water is not a substitute for guar gum. Guar gum has some specific quality which can’t be substitute by slick water. Slick water chemical in not cheaper than guar gum. Slick water chemicals cost more than 2000 USD/MT. Where is Guar is being exported at 1300-1500 USD/MT. Since crude prices are increasing so demand for guar gum is also increasing. 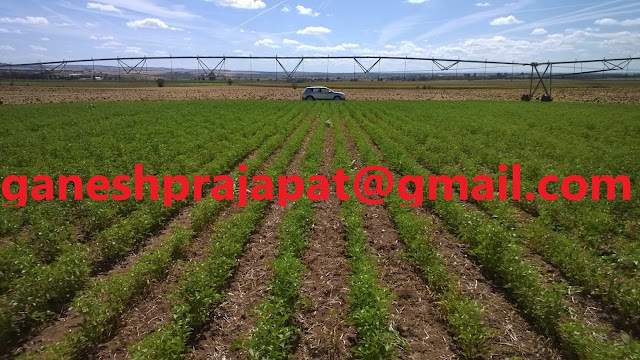 Export data of guar gum until this time is positive. All the fundamentals of Guar seed and guar gum business are positive. Speculative trends are damaging the Guar seed and guar gum industry. Guar seed and guar gum traders/farmers must avoid distress selling of Guar seed and guar gum under price fall pressure. Distress selling will put more pressure on current falling prices of Guar seed and guar gum. USA has put it out from the nuclear deal with IRAN. That will lead to sanctions against IRAN. There will be the tight supply of crude oil in the global market. With increasing crude oil prices USA will increase the production of crude oil. US crude oil supply will fill the vacuum due to Iranian oil. Guar seed and Guar gum prices are strong in the local physical markets. Prices of Guar seed and Guar gum are quoted higher than Commodity exchanges. Future trading of Guar seed and Guar gum are strong with increasing export demand and crude oil price. Good quality of guar seed is traded at Rs 3950/100Kg and average quality guar seed is traded at Rs 3800/100 Kg. Standard quality guar gum is traded at Rs 8250/100 kg. In interior location, guar seed is traded up to 3700/100 Kg. Guar seed is being traded strongly in the future market. At NCDEX (National Commodity & Derivatives Exchange Ltd) guar seed-10MT is being traded at Rs 3752, 3814, 3865 higher by 1 percent or INR 37/100 Kg, 0.73 percent or INR 27.5/100 Kg, 0.7 percent or INR 27/100 Kg with open interest of 7760, 91490, 12560 for May, June and July month contracts. 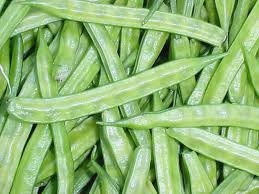 Guar gum is also being traded high in the future market. At NCDEX (National Commodity & Derivatives Exchange Ltd) Guar gum- 5MT is being traded at Rs 8284, 8367, 8470 higher by 0.44 percent or Rs 36/100Kg, 0.6 percent or Rs 50/100, 0.62 percent or Rs 52/100 with an open interest of 2750, 57470, 1675 for May, June and July month contracts. Guar seed and Guar gum prices are decreasing despite rig count is increasing. During these two weeks, there was a steep downfall in Guar seed and Guar gum prices. There were two lower circuits in NCDEX in last week,. Due to the downfall in prices of Guar seed and Guar gum, there is fear among all the stack holders and whole Guar seed and Guar gum Industry. As per market man arrival of Guar seed and Guar gum is the physical market is almost nil. Oil drilling companies in US has added 11 new rigs in this week. As per data released by Baker Hughes, there is the addition of 9 active oil rigs, 1 active gas rig and 1 miscellaneous rig in existing rig count. Crude oil prices are increasing slowly and slowly and stabilizing above USD70/barrel. WTI crude oil is being traded above USD 69.72/barrel and Brent crude oil is being traded above USD 74.87/barrel. It is expected that prices will increase further. Guar gum export data of previous fiscal year were released by APEDA in last week of April. These export data of Guar gum are also positive. Export of Guar gum has increased in both monetary and quantity terms. Prices of Guar seed and Guar gum is moving downward due to speculative trading in NCDEX (National Commodity & Derivatives Exchange Ltd). Due to speculative trading, small investors in Guar seed and Guar gum of NCDEX (National Commodity & Derivatives Exchange Ltd) were moved out with loss by to continuous hitting of stop loss targets. 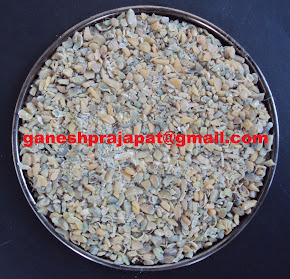 4000 level of Guar seed was considered as the lower side. Prices of Guar seed hit with the lower circuit. Subsequently, on next day there was another lower circuit hit. As per market men availability of Guar seed and Guar gum is very limited. Due to the shortage of Guar seed in market speculators are heavily active in the market. They want to capture Guar seed and Guar gum market at lower prices, that’s why this sudden downfall movement seems very speculative. Marketman doesn’t see any fundamental reason behind the steep downfall in prices of Guar seed and Guar gum. Oil prices will gain further as OPEC will cut down oil production to move the oil prices upside toward USD 100/barrel. If the prices of crude oil go up then fracking activities will increase in the USA and other countries. Currently, USA is the major importer of Indian Guar gum powder. There are chances that prices of Guar seed and Guar gum will move upside with increasing crude oil prices and increasing drilling activities. Guar seed and Guar gum prices are strong in the local physical markets. Prices of Guar seed and Guar gum are quoted higher than Commodity exchanges. Future trading of Guar seed and Guar gum is also expected to be strong with increasing export demand and crude oil price. Good quality of guar seed is traded at Rs 3900/100Kg and average quality guar seed is traded at Rs 3750/100 Kg. Standard quality guar gum is traded at Rs 8200/100 kg. In interior location, guar seed is traded up to 3700/100 Kg. guar seed is being traded weak in the future market. At NCDEX (National Commodity & Derivatives Exchange Ltd) guar seed-10MT was closed at Rs 3725, 3786, 3832 lower by 1.29 percent or INR 48.5/100 Kg, 1.05 percent or INR 40/100 Kg, 2.26 percent or INR 88.5/100 Kg with open interest of 66700, 67250, 9180 for May, June and July month contracts. Guar gum was also closed low in the future market. At NCDEX (National Commodity & Derivatives Exchange Ltd) Guar gum- 5MT was closed at Rs 8188, 8302, 8395 lower by 1.90 percent or Rs 90/100Kg, 0.88 percent or Rs 74/100, 1.62 percent or Rs 138/100 with an open interest of 20155, 45270, 400 for May, June and July month contracts.